The location was great. We were basically around the corner from the busy/touristy section of Faliraki without the noise. It was also very easy to get around. There are lots of stores and restaurants. I would definitely recommend this place for its location. George, the host was truly amazing. He did whatever he could to please us and make our stay as comfortable as possible. Friendly and helpful staff. We had a room which had very nice private balcony in backyard and the garden was blooming - perfect place to eat or just spend time with your loved ones. We also enjoyed the pool and sunbeds. Everything was clean and the water in the pool was cristal clear. George ( the owner) it is an amazing guy and made our vacation even better. He is paying a lot of attention for the details, just that everyone will have a good time. Nice and helpful owner. Excellent location. 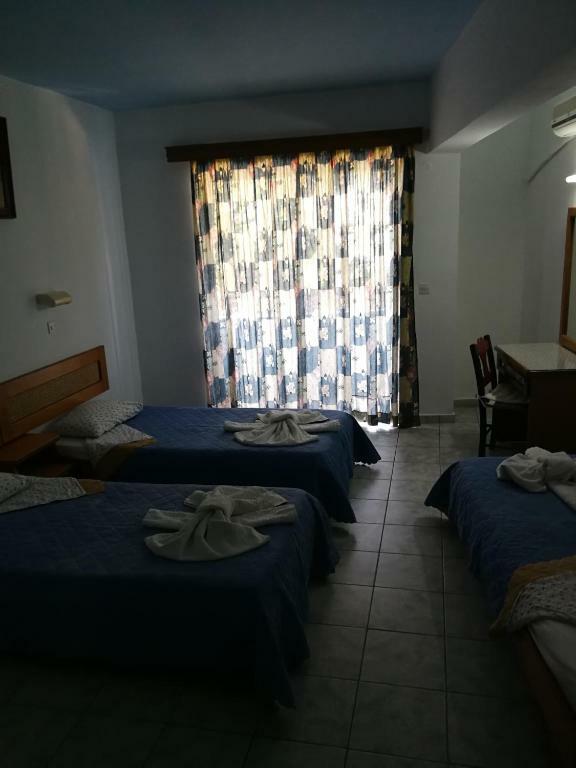 Close to the bus stops, shops, restaurants and beach. We like Sunny Sun and Rodes! Thank you, George, for a cozy and warm welcome! We were here in 2017, now 2018. And i hope we will be in the future! Very friendly owner, good value for the money, good location. Great place for the price! Close to everything impotant, the pool was good and the staff friendly. 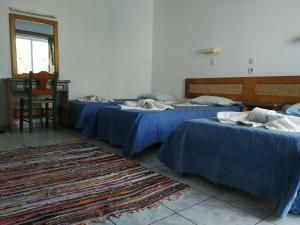 The property was very close to Faliraki center, but it was quietly enough for a relaxing evening in. 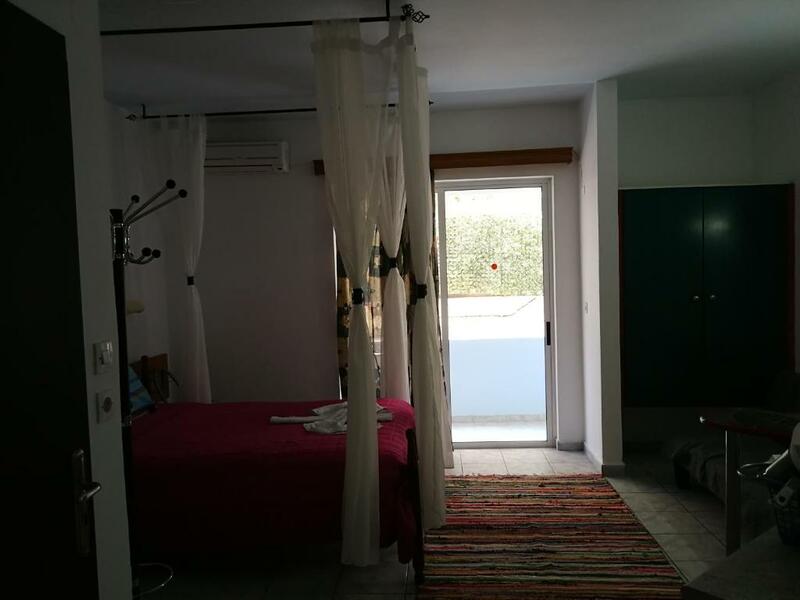 2 minutes walk to a supermarket, 2 minutes walk to Faliraki Bar Street, 5 minutes walk to the bus station to Rodos City, 10 minutes walk to Faliraki Beach. The room's kitchenette was well equipped, perfect for a quick breakfast before heading to the beach. Also, the pool was great! 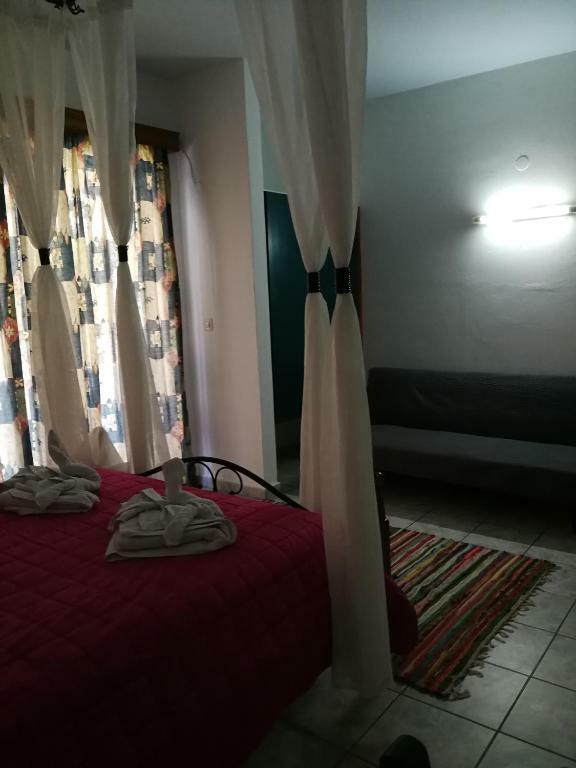 Lock in a great price for SunnySun Studios – rated 9 by recent guests! One of our best sellers in Faliraki! 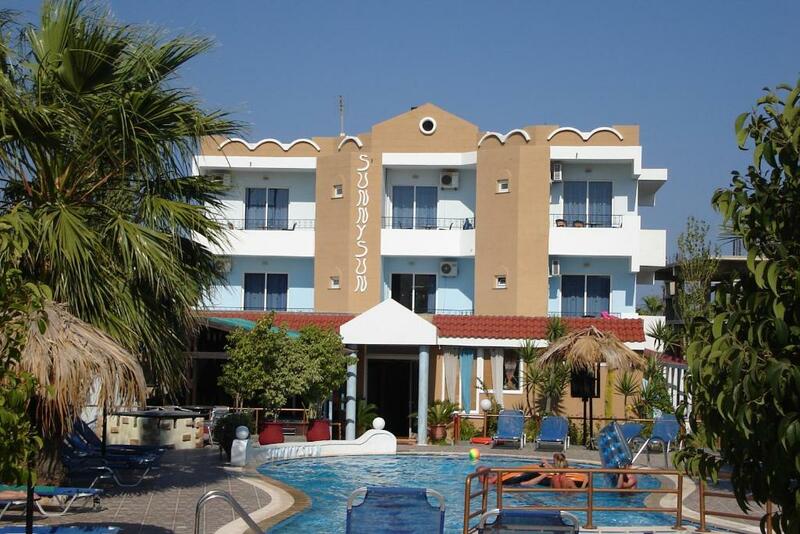 Located 800 feet away from the center of Faliraki, SunnySun Studios has a large swimming pool with sun terrace and a poolside snack bar. Its air-conditioned studios open out to a furnished balcony. All studios at SunnySun have a kitchenette with mini fridge, where guests can prepare a quick meal. 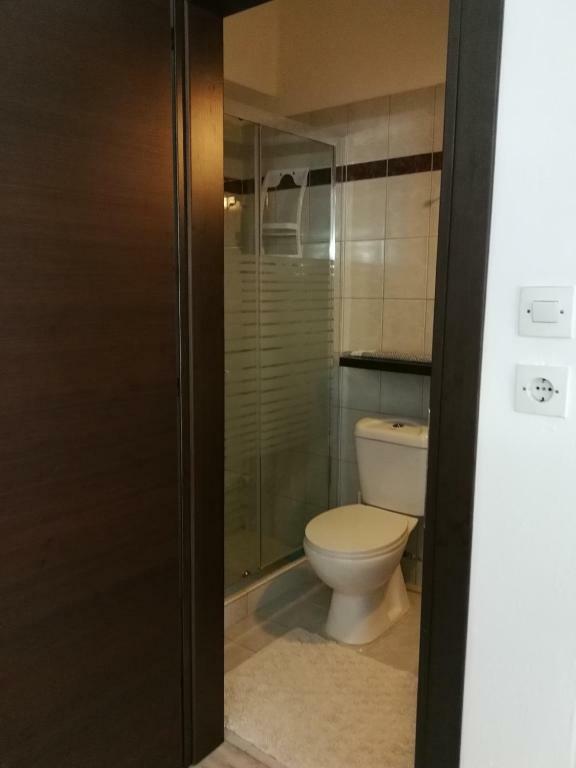 They also include a private bathroom with shower. Guests can enjoy refreshing drinks, coffees and light meals at the all-day snack bar or relax at the free sun beds by the swimming pool. Free Wi-Fi access is provided in the public areas and the pool. Rhodes Port and main town are 9.3 mi away from the studios. Diagoras International Airport is at 5 mi. The sandy beach of Faliraki is 1,650 feet away. Free on-site parking is available. 뀐 Located in the top-rated area in Faliraki, this property has an excellent location score of 9.3! When would you like to stay at SunnySun Studios? This studio has a balcony. This studio has a kitchenette. House Rules SunnySun Studios takes special requests – add in the next step! SunnySun Studios accepts these cards and reserves the right to temporarily hold an amount prior to arrival. Kindly note that the swimming pool operates from the 25th of May until the 15th of October. 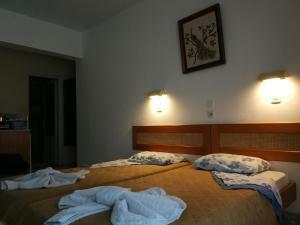 Guests must pay the whole amount of the reservation upon check-in. In case of payment by credit card, the card owner must be present. Squeaky beds and old mattresses. Toilet lid doesn't stand up so it’s very uncomfortable to use it. The rooms at the street side can be noisy if you want to sleep with open window or enjoy the nice balcony. But it didn't bother us in october and in the summer you can use the airco. So actually there is nothing to complain. Thank you George, see you again next time. Wifi was available only by the reception (depending on the room, you could get a wifi coverage also on the room's balcony). For us it wasn't a bad thing, but there wasn't a TV in the room. 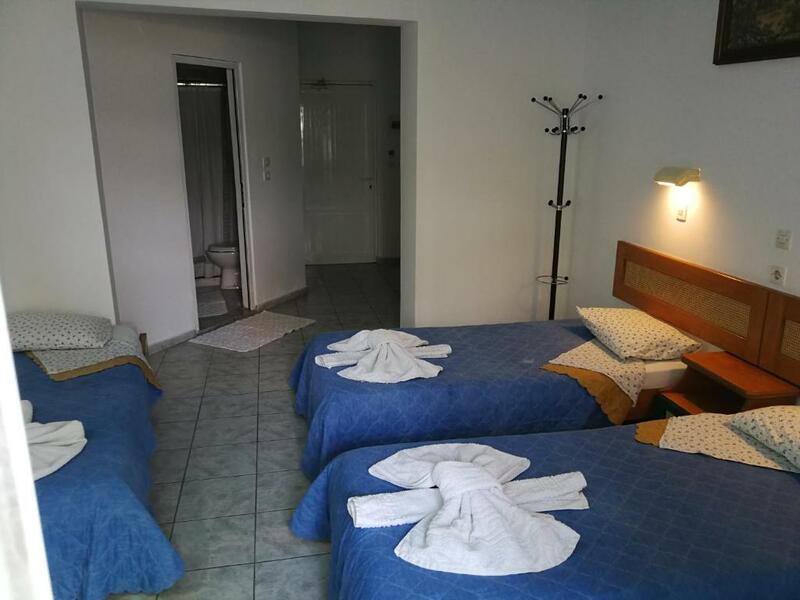 However there was a TV, a pool table and board games available also by reception, great for socialization with the host and the other guests. Online it said 24 hour reception but there was never barely anyone around to help. The hotel manager seemed as though he didn't want to talk to me every time I saw him. The hotel is not well run. Any small issue caused an argument because the staff there couldn't be bothered to do their jobs. I hate to give a bad review, but as a solo female traveler I felt unwelcome and had to push them hard to get any kind of help. The WiFi was terrible and you could only access it right next to reception where the hotel manager and his girlfriend would usually sit and blast music at uncomfortable levels. The shower in my room was terrible. Spurting and changing temperature constantly. And sometimes would not work at all! I would never go back. It was very close to the street full of restaurants and bars. The only staff member who was lovely and great was the house keeper. She was always very positive and kind. No WiF or tv i in the room only at the reception or pool area but there was so hot that you could hardly stay. Very good location. Owner of hotel George is amazing person , very friendly and helpful . Good price. Very clean and tidy , child friendly hotel. Great host, friendly. Location (Faliraki) is great to visit the entire island. Clear beautiful swimming pool. Different restaurants, supermarkets, clubs and a beach are near the SunnySun. Kind George made our rest safe and the best.